Sem Bot Club group portrait. Back row left to right: Pound, Woods, Elmore, Clement, Saunders. 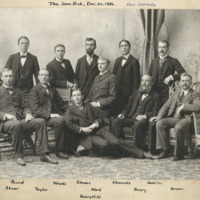 Bottom row left to right: Sher, Taylor E. Bessey, Ward (zoo), C. Bessey, Bruner (Entom.). “Seminarium Botanicum (Sem. 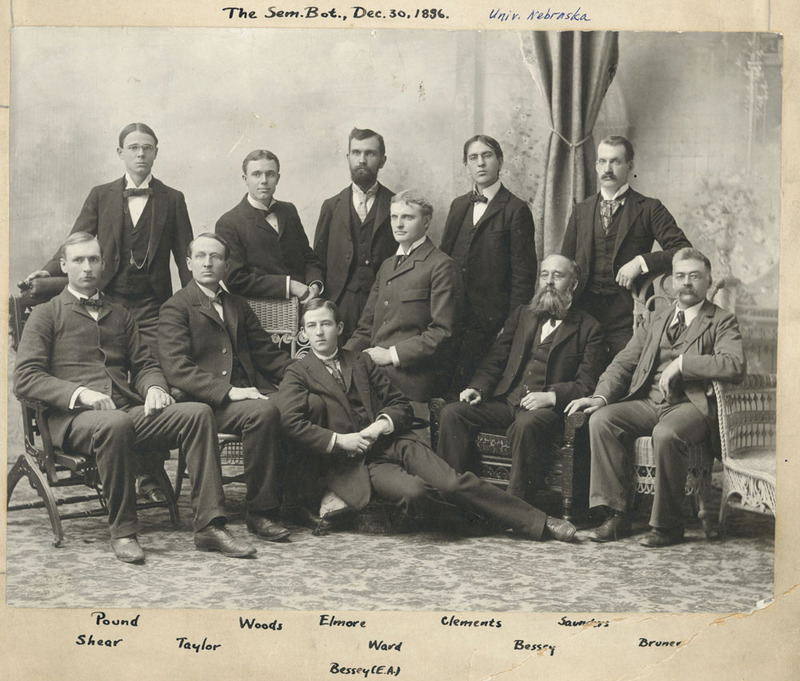 Bot) group portrait,” Nebraska U, accessed April 25, 2019, http://unlhistory.unl.edu/items/show/1960.